The poems in Wild, Again look at humans and other living things who share our planet—the ones who choose to show, even flaunt themselves and the ones who bide—almost, but not quite seen—in shadow or disorder. Like the 19th century American naturalist John Burroughs, Rogers believes that one must exercise “sharp eyes,” observing closely, taking all the time needed to translate that which is seen into words and understanding. The poems in this collection, written over a period of several years, study the territories of fur, flesh, bark, landscape, and sky in order to celebrate the wild without and within. Wild, Again’s first poem opens with these words: ‘Once I was part of a holy beast. . .’—and the thrilling audacity of that assertion, the claim of having both a divine and inhuman heritage, opens wide the parameters of what a poetic bestiary might be.These aren’t personae poems, these are poems of embodiment. In Bertha Rogers’s Wild, Again, the poems are wild, or I should say were, because the poet has tamed them just enough to put them on the page where they stay long enough for us to read them, although they want more than anything to get up and walk or fly away, and be about their business. 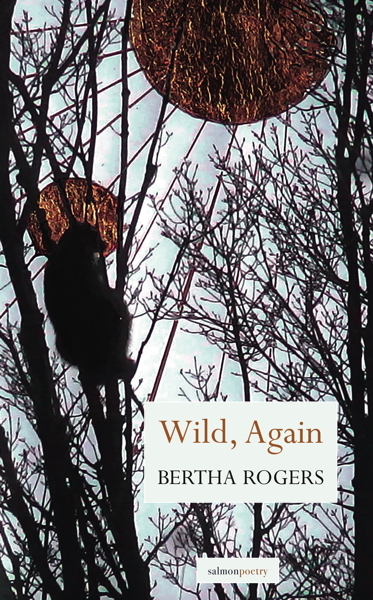 In this generous collection, Bertha Rogers expresses her passion for words and the wild, her animist and transcendentalist beliefs undergirded by her durable poetical craft. As you close this book, you’ll feel grateful to Rogers for having shared her searing love for nature, family, and her late husband. 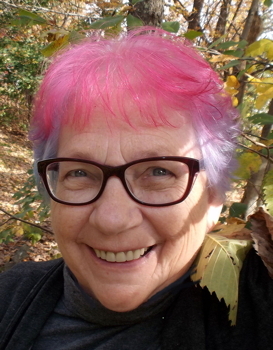 Bertha Rogers, poet, translator, and visual artist, has published poems and translations in literary journals and anthologies, including the recent (which she also edited) Like Light: 25 Years of Poetry & Prose by Bright Hill Poets & Writers and Even the Daybreak: 35 Years of Salmon Poetry. Her poetry collections include Heart Turned Back (Salmon); Sleeper, You Wake (Mellen); and several chapbooks and interdisciplinary collections. Her illustrated translation of Beowulf was published in 2000, and her translation with illuminations of the Anglo-Saxon Riddle-Poems from the Exeter Book, Uncommon Creatures, was published in 2019. She has been awarded fellowships by the MacDowell Colony, Hawthornden International Writers Retreat, and others. Her writings on inclusion and cultural diversity in arts education have been published in Open the Door, Education Week, and the Poetry Foundation’s Harriet Blog. Through Bright Hill Press & Literary Center of the Catskills, www.brighthillpress.org, a literary organization founded by Rogers and her husband, Ernest M. Fishman, in 1992, she led the development of the New York State Literary Web Site and Literary Map in partnership with the New York State Council on the Arts (www.nyslittree.org). She serves as Poet Laureate of Delaware County, NY; and she is a member of the selection panel for the Empire State Writers Hall of Fame.